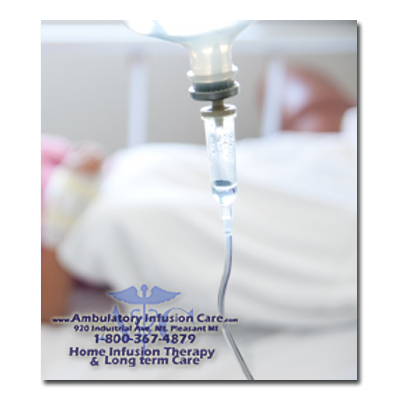 Continuous and intermittent/subcutaneous, intravenous, and epidermal infusions. Treating conditions such as AIDS related infections, bacterial endocarditis, cellulitis, cystic fibrosis, lyme disease, staph infections, osteomyelitis, and general sepsis. For conditions such as stroke, cancers of the throat, mouth and neck, dysphasia and gastrecomy through various feeding devices. For bowel resection, Crohn's disease, hyperemesis, radiation enteritis, and ulcerative colitis. Hydration and insulin therapies are also available.